Harvey and Lynette Mullenax moved to their property in Rockport in 1972. Harvey, a World War II Veteran, built their house from the ground up. His humility and hardworking spirit were one of the many things his daughters, Dawn and Ellen Mullenax, admired. In April of 2017, Harvey passed away, four months before Hurricane Harvey destroyed the family home. At the time of the storm, Lynette was in the hospital recovering from an accident and was evacuated to Austin and then Houston to live with her daughter, Dawn. Lynette has been living with Dawn, without a home, until Wednesday, Nov. 28. 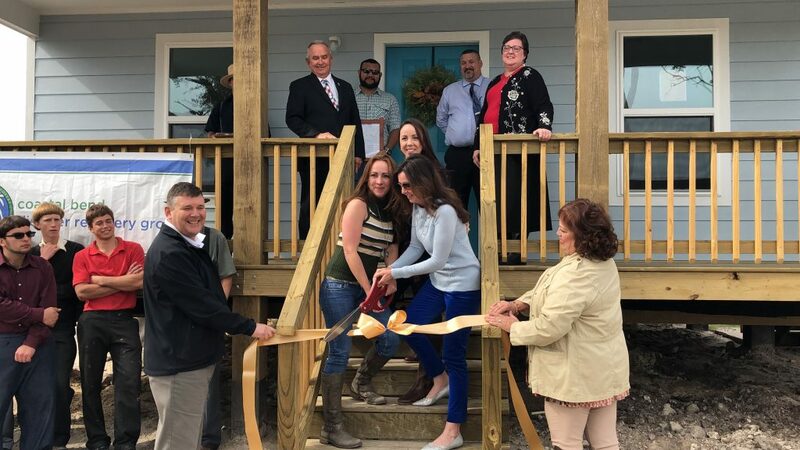 The Coastal Bend Disaster Recovery Group, and its partners, completed the building of her brand-new home. On the front porch of the new home hung Harvey’s American flag. It was one of the only surviving remnants of the old home that survived Hurricane Harvey. 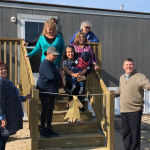 Construction on the new home began in mid-August and was built by Mennonite Disaster Service (MDS) and Christian Public Service. Funding was provided by a combination of MDS and the Coastal Bend Disaster Recovery Group (CBDRG). The American Red Cross sponsored the transportation of MDS members to the Coastal Bend to assist with disaster recovery efforts. Additionally, the home was filled with perishable and non-perishable food items courtesy of the Coastal Bend Food Bank. CBDRG, in partnership with several other non-profits, is currently working on 116 major reconstruction projects and have completed 49 projects this year. They are currently seeking volunteers ranging from skilled-laborers to general help. 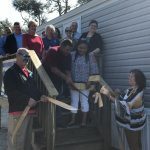 If one is interested in volunteering, visit their website www.coastalbenddrg.org/volunteer.